This fascinating sequence of stories from the Grauniad suggests a bleak future for the Labour Party, the party as understood for a century and more. That is, the 1900's socialist working-man's party which became House-trained in the 1920's, and politico-intellectual home to an awful lot of well-intentioned, thoughtful people whose main fault is an idealistic blindness to the Actual Ways of the World, human and financial. How long are the decent people who are legitimate heirs to that honourable tradition, going to put up with this? More than 130 new members of the Halifax Labour party have been disqualified from voting for the party’s general election candidate after suspicions were raised about their recruitment. All but seven of the disqualified members are of Asian heritage ... 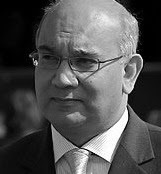 Earlier this week, it emerged outgoing MP Linda Riordan had complained to Labour HQ, alleging Keith Vaz was trying to interfere with the selection. Amina Ali stepped back after realising she had been used as a pawn by local Kashmiri clan elders in their attempt to control Bradford. Since Ali’s surprise departure, things are getting increasingly nasty in the constituency. Naveeda Ikram says she called West Yorkshire police on Wednesday after after being made aware of “fake” racist messages circulating on social media purporting to be from her ... the user labelled as Naveeda Ikram makes disparaging remarks about Ali’s Somali background and the fact Labour’s last MP for Bradford West, Marsha Singh, was a Sikh. I don't think all the Guardian readers will all naturally migrate to UKIP. Or LibDem. So maybe Green? The Greens are in fact the whitest party of all ! This is not just happening in the Labour party. Agree BE, but I think culturally it is the most open to it. it's total embrace of multiculturalism blinds it to the dark side for fear of being wascist. Not sure abt this. Look at Labour in Scotland, they have cheerfully harboured the vilest sectarian 'stuff' since forever. Think you're right about the "white flight" to Green. But only because of the "wall of propaganda" by all major parties against UKIP, and the complicity of the news media. Seen John Major's letter in the Spectator about Jimmy Goldsmith? Blames him for Lisbon, the Plague etc. Totally ignores JG's entirely correct analysis at the time of GATT, about the shift in power between capital and labour. The Labour Party is dead simply because it stopped representing workers. The incumbents in Y2000 rejected Alchemy's realistic plan on lying grounds ("polluted soil not suitable for housing, retail" - which it's now full of, plus a college) and allowed the Longbridge plant and workforce to go to its ruin under the wild dreams of the Gang of Four, just to add another fraction of a percentage likelihood of getting through the General Election. Blair's general approach, "making assurance doubly sure." In Birmingham, we're still dealing with the consequences - everything from drugs'n'alcohol to child abuse. On the other side, Tory triumphalism and loyal fanfares in the Daily Mail, all based on never-ending(until it suddenly does) QE, that Sorcerer's-Apprentice approach to economy. Grabbing the chance to stuff the proletariat back into its box before the police arrive. And in the middle, that strange weasel Clegg, who's never really been grilled in the MSM about the blood-promises he may have made in dark corners of the College of Europe. As Cleese says in "Clockwise": it's not the despair that drives one crazy, it's the hope that you might get a solution against all the odds. There has been the odd similar minor occasion in the Tory party. Once upon a time they held an open primary in Bedford for the Mayoral candidate; if the local newspaper was to be believed, the Asian candidate bussed in dozens of elderly gentlemen of sub-continental origin, many of whom couldn't speak English, to vote for him. He narrowly failed. I fear we can expect exponential increases of third-world style corrupt behaviour like this in future. Our wonderful 'thought leaders' haven't made the effort to inform immigrants that if they come here they should damn well leave the corrupt practices of the sub-continent back where they come from. Bringing a little bit of the third world to a town near you. Sow the wind, reap the whirlwind - at our general expense. I remember reading in the Times/Telegraph, some 20 years ago how Liebour had been liaising with the US Democrats over their polices on 'minorities. 'They had realised that the white working class were heading elsewhere thank you very much and needed a new constituency which they had to import. Isn't the underlying problem that membership of our political parties is too low, so it becomes practical for a relatively small number of new members (entrants) to substantially affect a constituency internal election? Labour has about 190k members, which is an average of 292 per constituency, and the Tories less at 150k members or 230 per constituency. You'd hope the two major parties could rustle up 500 members per constituency (325k nationally), which would be difficult to infiltrate. But I guess parties would have to be less PPE/SPAD and London-centric for that to happen. No surprises there then, Nick, nor that the Greens are the Whitest party of all. I'm thinking that despite all the hoo-hah, the Greens will get the grand total of zero seats in May. AFter Ms. Bennett's hilarious interview, I again contacted them to ask the same question I did after an interview with her the day sew was appointed leader. In the interview she claimed that the "green economy" now comprised 11% of GDP. I mailed, asking for citations for this assertion. "The Labour Party is dead simply because it stopped representing workers." It's taken its time. I can remember reading a newspaper article in the late fifties or early sixties about an interesting piece of opinion-polling. (For the '59 or '63 election, perhaps.) People were asked to approve or disapprove of the policies on a list presented to them. They were then asked how they intended to vote. Most who intended to vote Labour had predominantly preferred the Conservative policies on the list. The tories might have less vote riggers, but they have more boiler room fraudsters, pensions liberation scammers etc. @Dearieme: wasn't it round about then that the politicians thought joining Europe would be a good idea because it would help tame the unions? Yet by the 70s the LP was threatening to take us out. BTW why should we pay any attention to manifesto policy commitments (e.g. "watch my lips - no student fees"), until such time as they are legally binding or ratified by a referendum? "Events, dear boy." "@Dearieme: wasn't it round about then that the politicians thought joining Europe would be a good idea": search me - I wasn't long out of short trousers. I just absorbed the opinion poll result because I enjoyed the paradox.